The following section discusses these components in detail. A SOAP message is a one-way communication from a sending application to a receiving application. The message might contain the request for data from the receiving application. When the request is processed, the result of the request is retuned as another SOAP message. Therefore, several SOAP messages are combined to allow communication between applications that are present on remote computers. This implies that SOAP messages follow the request-response format as depicted in Figure. The components of a SOAP message are shown in Figure. components of a SOAP Message. As you can see in Figure, Envelope forms the root element of the SOAP message. The Header and the Body components are child elements of the Envelope element. The following sections discuss the components of the SOAP message in detail. The envelope namespace is included to define the structure of the Envelope, Body, and Header elements of the SOAP message. Figure shows the envelope namespace, represented by the alias SOAP-ENV. Including the encoding namespace in your SOAP message indicates that the text in the body of the SOAP message follows the encoding rules. These rules are defined in the SOAP package. The encoding namespace is shown in Figure. It's essential to include the envelope namespace in all SOAP messages. However, including the encoding namespace is optional. These namespaces point to XML schemas; therefore, they are included in a SOAP message to validate it. The SOAP messages are validated according to the rules that are defined in the XML schemas. To include a namespace in a SOAP message, you first need to create an element, Envelope. You can include additional attributes in the SOAP envelope. You can also include other namespaces and subelements in the SOAP message by declaring them in the Envelope element. In addition to namespace declaration statements, a SOAP message includes the serialization rules that are used to define the SOAP message. The serialization rules are defined in the encodingStyle attribute. The value of this attribute is the URI address of the namespace that defines the serialization rules. An example of such a namespace is the encoding namespace discussed earlier. The Header element includes information about how the receiving application should process the SOAP message. This information is represented in the form of elements of the Header element. These elements must be fully qualified and include a namespace, which is identified by a URI and a local name. In this case, the first Header element applies only to the currency sub element and not to the country sub element, which is not the immediate sub element of the Header element. mustUnderstand attribute. The must understand attribute of the Header element specifies whether it is mandatory for the receiving application to process the Header element. This attribute takes a Boolean value. A value of 0 indicates that it is not essential that the receiving application process the Header element. However, if the mustUnderstand attribute takes the value of 1, it is essential for the receiving application to process the Header element. The Header element is processed according to the encoding rules defined in the namespace that you include in the Header element. As you can see, the preceding code includes a URI . This URI indicates that the receiving application is the intermediate application that needs to forward the SOAP message to another application. encodingStyle attribute. The encodingStyle attribute specifies the serialization rules that you can use to encode the Header attribute. These rules that are defined in the encodingStyle attribute apply to the Header attribute and all its subelements. The value of the encoding Style attribute is the URI of the namespace that defines the serialization rules. To define the text in the Body element, you can include subelements. The text is encoded in the Body element by using the encoding Style attribute. In addition, the Body element might include a Fault element. This element is used to send the status information or any error message with the SOAP message. When a SOAP message is transferred over the network, you must ensure that the message is in the format that the receiving application can easily understand and interpret. This implies that you need to serialize the content of the Header and Body elements of the SOAP message in the format that the receiving application understands. To do this, you can use the System.XML. Serialization namespace, which serializes data to an XML document. 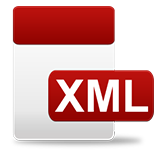 Most applications can understand an XML document that is being text based. You can include this XML document in the Body element of a SOAP message to be transferred over the network. Literal format. In this type of serialization, data is serialized based on the XML schema or XSD. Therefore, the interacting applications deal with the data in the form of XML documents instead of objects and structures. However, in literal format, no special rules of serializing data are followed. Encoded format. In this type of serialization, data is serialized according to some special encoding rules that are defined in the SOAP specifications. These rules define how specific objects, structures, arrays, and so on should be serialized. Unlike literal format, in the encoded format, the interacting applications deal with structures and objects. Document style. In this style, the SOAP Body element contains one or more child elements called parts. However, the specification does not specify rules for including the child elements in the Body element. It can include any data that the sending application needs to send to the receiving application. RPC style. In this style, the Body element includes the methods or remote procedures that you need to call. In addition, the Body element includes the parameters that the remote procedures accept. The Microsoft SOAP Toolkit uses RPC/encoded SOAP messages by default. When you're using .NET, you can expose Web services in two ways: Remoting and .NET Web services. Remoting uses RPC/encoded SOAP, whereas .NET Web services, designed for document exchange via messaging, use the document/literal SOAP by default. Consider a situation in which you need to call a procedure that is located on a remote computer. While calling the procedure, you need to pass parameters to the procedure call statement. The process of calling a procedure from a remote computer is called RPC. The request for the procedure can be made using SOAP in the form of a SOAP message. This message includes the request or the response of the request. To define the manner in which the messages are exchanged, a specification called the RPC convention is developed. The RPC convention defines a set of rules that you can use to serialize the procedure calls in the form of a SOAP message. As discussed earlier, SOAP is based on a request-response format. Therefore, when you need to call a remote procedure, you send in a request. The statement used to request the remote procedure is called a call statement. When the request is processed and the response is returned, this response is called the result of the call statement. Figure explains the RPC procedure in detail. The following sections discuss the call and result statements. To call a remote procedure by using SOAP, you need to create a SOAP message that includes the call statement. The call statement is an XML statement that includes a struct that makes a serialized call to the required procedure. The parameters of the required procedure are sent as child elements of the struct. The preceding code calls the ChangeCase procedure and passes a string type parameter to the method call statement. The preceding code uses a namespace that is represented by the hypothetical URL http://www.wisdomjobs.com/. The result statement includes the processed result of the call statement. Similar to the call statement, the result statement also includes a struct and the value that the procedure returns. However, unlike the struct in the procedure call statement, the struct in the result statement can be assigned any name. As a convention, the name of the struct in the result statement is followed by the word Response. For example, the struct in the result statement for the ChangeCase procedure can be called ChangeCaseResponse. The preceding code sends a response to the call statement after processing the request. The string type value, soap, that the ChangeCase procedure returns is an output parameter and is defined by the same name: str1. When you create a SOAP message, you need to adhere to a set of rules to encode theSOAP message. This set of rules is defined in the SOAP specification and is called SOAP encoding. The SOAP encoding rules are similar to XML schemas and define the types and constructs that you can use to create the SOAP message. These rules are present in the encoding namespace. The URL of the encoding namespace refers to the XML schema that defines the encoding rules for a SOAP message. The URL of the encoding namespace is http://schemas.xmlsoap.org/soap/encoding/. The encoding rules specify the types that you can include in a SOAP message. These data types can be either simple or compound. The following section discusses the simple and compound data types. The data types that are specified in the XML Schema Specification are called simple types. Therefore, a simple type either is defined in the XML Schema Specification or derived from the data type that is defined in the XML Schema Specification. The simple data types that you can use in a SOAP message are integer, float, negativeInteger, string, date, and so on. These built-in data types are defined in the namespace XMLSchema. Struct. A struct is a collection of variables with the same or different data types. However, the name of the variables that are defined in a struct cannot be the same. Consider the following example of a construct, Student. In the preceding code, a struct called Student is declared. In addition, a namespace, n, is declared with a Student data type. The n namespace points to the schema that defines the Student struct. The preceding code creates an array called scores. The data type of the array is integer, which is specified by the arrayType attribute. The values are assigned to the scores array by using the item attribute. Having looked at the types of data types, you will now learn about the rules for encoding data types in a SOAP message. You can define values in a SOAP message by using elements. You can define simple values as character data without subelements. You can define compound values as a sequence of elements. You can define arrays as single-reference or multi-reference values. You can declare arrays as compound values by using the SOAP-ENC:Array attribute. You can define the data type of an array by using the SOAP-ENC: arrayType attribute. You can define string and byte arrays as multi-reference simple types. You can encode several references to a value. However, you should not alter the meaning of the XML instance. Until now, we have discussed the architecture of SOAP. Now we will discuss the processing of SOAP messages.